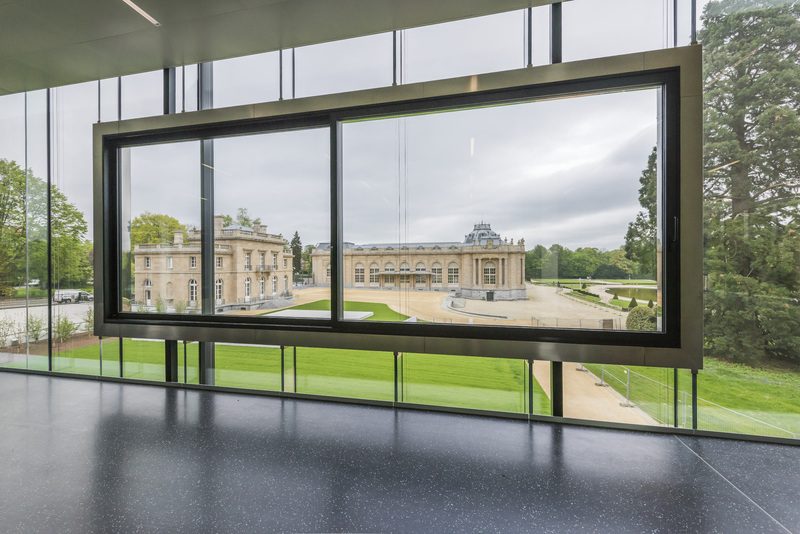 Lise Coirier & Gian Giuseppe Simeone are very pleased to welcome you in their private home and share this unique event of the reopening of the AfricaMuseum in Tervuren coupled to TLmag Africa(s), 304 pages dedicated to this continent. Nigerian born, Brussels based architect Ola-Dele Kuku has translated his architecture training into a conceptual art practice. His ongoing projects stem from deep philosophical inquiries into the current state of culture, identity, and geography. Click here to read the full interview by Adrian Madlener. 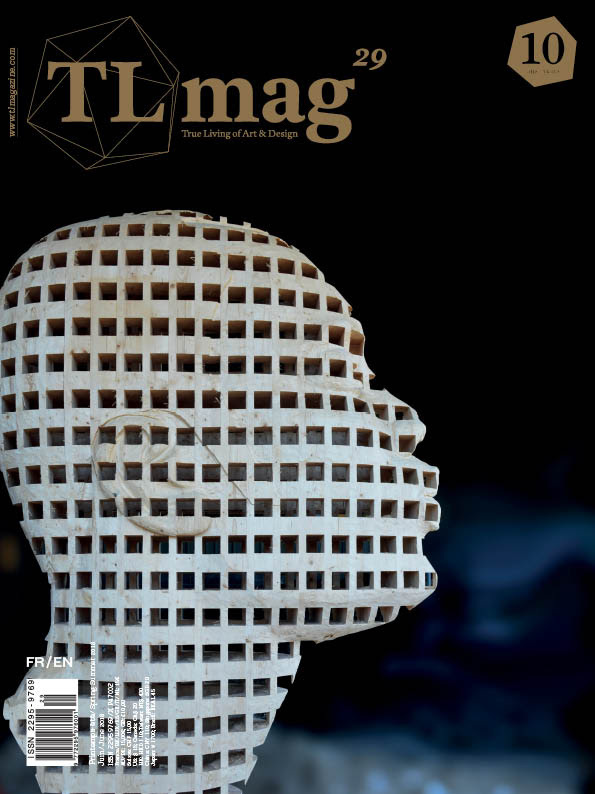 A recent interview of Ola-Dele Kuku, “Architecture as Critique” was published in TLmagazine issue 29. You can read it on TLmagazine’s website by clicking on the image below. This exhibition highlights the importance of the questions that Belgian designers have around the choice of form and function in designs. The tension between these two fundamental aspects of design was a key element in the selection of the items for the show. This tension also comes up in the research into and experiments in the techniques and materials used. The result is always a very personal design language that invite interaction. The objects may surprise, make us think about, move us, disturb or mislead, or even amuse. Between Art & Design, The Belgian scene offers us an ensemble that reflects the wealth and particularly the diversity of contemporary Belgian design. 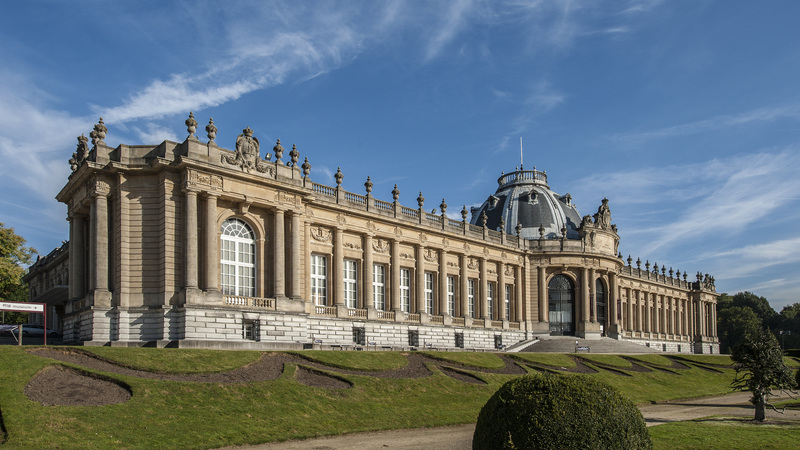 In this selection, the most striking aspect is the great artistic diversity that is also a strong characteristic of the world of visual arts in Belgium. The designers are acting as very independent and individual and they have developed their own ideas about the day-to-day environment and the interiorobject. Belgian designers remain, with a few exceptions, understated; their work is rarely obtrusive but truly characterised by a feeling for aesthetics, volume and proportion. And even that is their strength. Alain Berteau, Anne Marie Laureys, Ben Storms, Bram Boo, Brut Collective, Casimir, Charles Kaisin, Damien Gernay, Danny Venlet, De Vylder Vinck & Taillieu, Erwin De Muer, Jean-François D’Or, Julien Carretero, Kaspar Hamacher, Laend, Lionel Jadot, Maarten De Ceulaer, Marie-José Van Hee, Muller Van Severen, Octave Vandeweghe, Ola-Dele Kuku, Pierric De Coster, Piet Stockmans, Raphael Charles, Sep Verboom, atelier lachaert dhanis, Studio Job, Sylvain Willenz, MdSt, Unfold, Vincent Van Duysen, Vladimir Slavov, Hans Weyers, Xavier Lust. This symposium, proposed by architect Ola-Dele Kuku, addresses African urban space as a place for progressive socio-cultural development, conflict prevention, and post-conflict rehabilitation. It is held under the patronage of the Embassy of Sierra Leone in Belgium and in the presence of H.E Mr Ibrahim Sorie (Ambassador) and the Minister Counselor Mrs Florence N. Bangalie . The discussion will investigate modern alternatives in the integration of creative arts and culture as tools to formulate, regenerate and activate a synthesis for a progressive socio-cultural development amidst the destruction and devastation of the environment, which are the prominent aftermath in a conflict zones. The case of Sierra Leone is addressed. Freetown, the capital city would require the establishment of major cultural events or the accommodation of expressive creativity in order to introduce a social consciousness of geography and place with reference to years of conflict. This will also assist in the creation of different ancillary industries, structures and several economic activities in response to the possibilities associated with the proposed events. 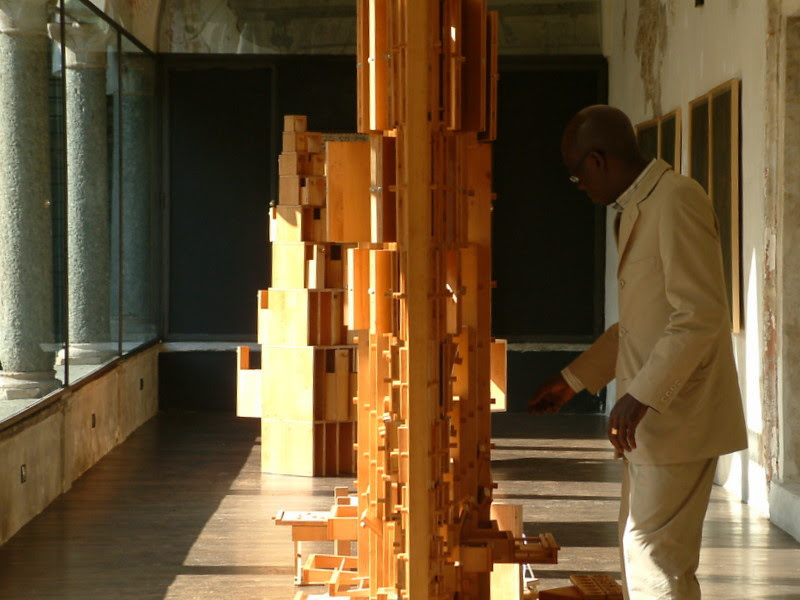 Associate Curator: Mr. Koku konu (architect – critic) Lagos, Nigeria. Project Manager: Mr. Fabrizio Orsini (Co-founder – AAC Platform) Italy. Federal Ministry of Information and Culture, Abuja, Nigeria. Embassy of the Federal Republic of Nigeria, Rome, Italy. Arthouse Contemporary Ltd, Lagos, Nigeria. KU Leuven – St Lucas Architecture, (Int Masters Programme) Gent, Belgium. Philippe Laeremans Tribal Art Gallery Brussels, Belgium. Diminished Capacity intends to analyze a historical transaction moment with the ambition to rewrite history, starting from Nigeria to provide unpublished interpretations. In this condition, to rewrite history becomes a necessary evolution. The wrong reading of Africa transforms the continent itself into a country poised in perpetual opposition to restlessness; what is its identity in forms and structures? “Africa is not a country!” In that conflict, the first Nigerian Pavilion wants to prospect new methodologies. Throughout his practice, Ola-Dele Kuku has consistently reshaped representation in a timely challenge. Working with drawing, installation, and objects, he has revisited the mainstays of architectural representational methods – plan, elevation, section – to inject unsettling slippages into their rigorous formalism. This new body of work fully embraces an analytical socio-philosophical slant that confronts complex issues such as resource depletion and their management, migration, micro and macro global changes, and the diminished capacity of countries amplified by multiple applications of manipulative strategies. ‘The proposed project theme titled ‘Diminished capacity’, is a reflection of the contemporary global phenomenon of ‘Socio-Cultural Conflicts’, with specific focus on the role of ‘Information / Communication’ and the ‘Mass Media’. The exhibition will be presented as a reaction to the frictions of social communication and the mass media, vis-à-vis the notion of a unitary tendency of society and common values. When I first saw one of Ola-Dele Kuku’s furniture pieces, I was immediately captured. This piece was exhibited in the Design Museum Ghent. Actually, ‘furniture’ is a misleading label. The objects he creates certainly present themselves as furniture, but they do not limit themselves to mere functionality. All his creations boast an unusual playfulness, as if they are made solely for the homo ludens.Last week Ola-Dele showed me his older work Teatro del’Archivio in the Brussels gallery of Philippe Laeremans. This is a piece of furniture that has the presence of a sculpture, a monumental work, while at the same time it seems like a big toy. Like a little boy with shining eyes one wants to try everything: rotate the big cylinder, the inner cylinder, open every door, open every drawer and search for hidden places. Conflict is one of the recurrent themes in the work of Ola-Dele Kuku. 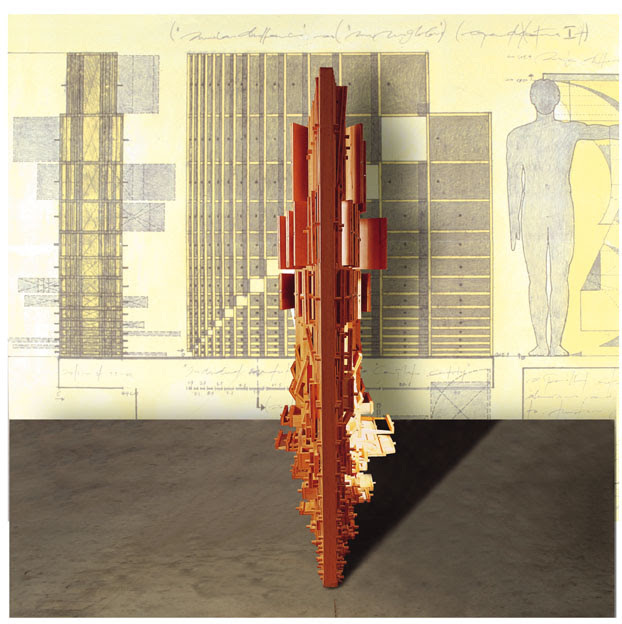 The architect-artist sees conflict as one of the driving mechanisms in our world, and as a tool to set change in motion. Conflict has played a crucial role since the dawn of creation, just think of the stories of the Big Bang and the paradise of Adam and Eve. According to Ola-Dele Kuku our world has reached a turning point. The existing hierarchy is at its zenith and is therefore about to fall. We have lost our faith in God, we no longer fear him. Even morality, terms like good and bad and our complete image of society must be revised. Because morality changes depending on the side you are on. And although social media sometimes give the impression that our world is just a village, we are still increasingly concerned with what is happening outside our own front door. How our world will evolve is still unclear, but there is no doubt that conflict stimulates change. It stands the existing order on its head and inspires innovation. Therefore, according to Kuku, we must learn to use conflict as a tool and learn how to manage it so that a new order can establish itself in nature and in politics. With Agenda Setting III (the running mean) Kuku presents an installation that consists of open books in different languages. The words written in them refer to contradictions in our knowledge, methods of interpretation and belief, to causes of conflict. The words and texts form, as it were, a sort of pixels of the bigger picture. By not presenting any images Kuku wishes to allow the onlooker the freedom to connect his own visual connotations with the words and reverses the usual process of interpretation of an image. Agenda Setting III (the running mean) thus provides the onlooker with an alternative window on the world. Conflict & Design With the support of the City of Genk and the Flemish government. Conflict & Design – the 7th edition of the Design Triennial in Flanders – shows how designers approach conflict situations and the impact their designs can have within our society. The exhibition provides food for thought about how, in the (near) future, we will be obliged to interact with each other and manage our natural resources in fundamentally different ways. Ola-Dele Kuku’s work for this Triennial will be exhibited in the ‘Conflict&Conflict’ section. Making of Agenda Setting III – The Running Mean (2013) – Ola-Dele Kuku from Ola-Dele Kuku Projects on Vimeo. Conflict & Conflict gaat over design op het niveau van de ontwrichte samenleving, met andere woorden over conflicten met een grote C. Hoe ga je als designer aan de slag binnen contexten waar genormaliseerde maatschappelijke regels niet meer gelden, zoals in gevangenissen, of in gebieden zoals Palestina, of in de favelas van Brazilië? Wat wordt er van een ontwerper verwacht wanneer hij of zij geconfronteerd wordt met oorlogssituaties of natuurrampen? Op welke manier kan design tegemoet komen aan specifieke noden en behoeftes? Hoe kan design worden ingezet als katalysator voor het creëren van orde en harmonie in onze samenleving? Het laatste project dat we op deze Triënnale presenteren gaat over de dood, het ultieme conflict. Hier ligt de focus op de voortdurende strijd van de mens om de dood voor zich uit te schuiven. Conflict & Design is een initiatief van Design Vlaanderen, C-mine en Innovatie en Design Euregio. For the 2013 Edition of PAD Paris Art + Design, Galerie Flak is pleased to present contemporary design furniture by Nigerian architect and artist Ola-Dele KUKU along with a selection of ancient fine art from Africa, Ocenia and North America. The 7th Triennial for Design in Flanders 2013 is an investigation into the social relevance of design and the role and responsibility of designers in our society. This Triennial is a forum for designers who wish to contribute to this public debate. Their work can be considered as essential as we are forced to live and act differently and to change our attitudes towards our natural resources. Conflict is a starting point for designers to think about our society, to create content and significance within a design process and to produce sustainable and economically viable products. WORKSHOP 3 : workshop team : Ola-Dele Kuku, Martine De Maeseneer, Gideon Boie. Until the end of August 2012, the furniture object “Similar differences“, designed by Ola-Dele Kuku, a designer / architect with Nigerian roots, presented in the Design museum Gent. 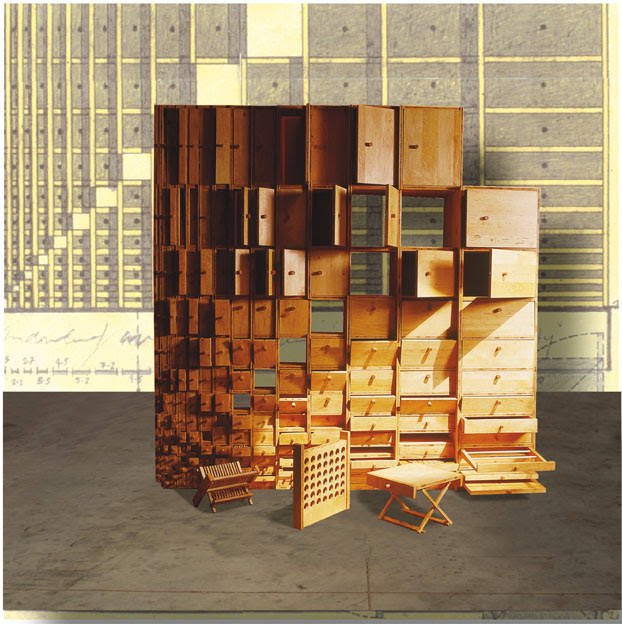 The remarkable storage cabinet is part of a series. Ola Dele-Kuku drew this architectural object, the implementation was done by the VTI woodworking students from Roeselare. The collaboration illustrates the social conscience of the designer / architect, who may also be called philosopher, artist and researcher.